Have you noticed that rooms in magazines have everything perfectly lighted? 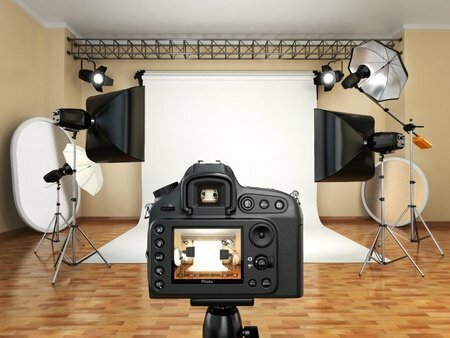 Special architectural photographers may spend an hour or more setting up a shot and lighting it, and then take dozens of shots from different angles to find the perfect way to show a decorated room at its best. If we want our homes to look more like the magazines, we need to pay attention to lighting the way professional photographers do. To start, notice that this photo-shoot combines lights with reflectors. In your home, walls, ceilings and floors can act as reflectors, and windows can serve as lights. You need your living area to look good both during the day and in the evenings. For good daylight in a room, choose window coverings that can open or be raised during the day and closed at night for privacy. If windows get full sun, you may want to consider one of the new adjustable translucent window coverings that can be positioned to bring in light while keeping glare to a minimum. In the evening, use a combination of overhead lighting, lamps and ceiling spots to create an inviting mood. A plain overhead light may work from a task-lighting standpoint but doesn’t really contribute to the ambience of a room. Look for table lamps and up-lighting from torch lamps to create the look you want. Mirrors can also distribute light. Positioned opposite a window, mirrors can increase natural light in a room. Choosing light walls or flooring will also brighten a space. Look for shiny or metallic surfaces to reflect light also. Your home may not be able to match those well-staged photographs in lifestyle magazines, but you can use light and reflections to highlight your home’s best features and create the mood and style you want.